Your manager can enable two distinct ways of seeing your co-workers' schedule. Both settings must be activated by your manager in order for you to have access. You can either see who's working at the same time or see the full schedule. 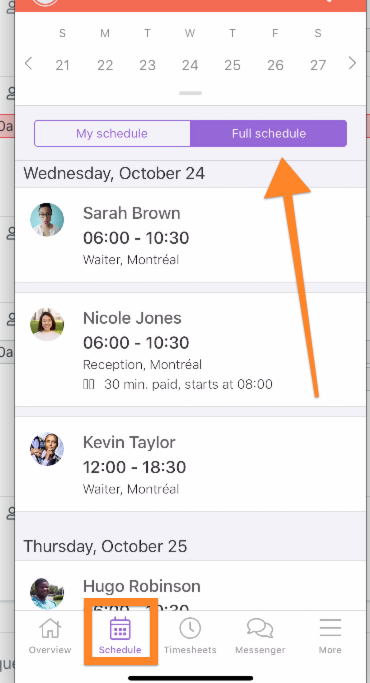 Click on "See coworkers schedules"